Money is time. What we really are experiencing today is a war against time conducted by all the central banks of the world. But remember, it's Trump who brought the crazy to conservatism. Mon gouvernement ne sera pas celui qui créera des Guantanamo à la française. ... if you are someone who wants to stop Trump or Brexit, your goal should be to communicate effectively with the people who believe it is in their interest to support Trump or Brexit. In terms of relating Greenwald's point back to posts here, this one provides a bit more theory behind the term elite and this one applies the diagnosis to Brexit. The French security services had a photograph -- but no name or other identifying information -- and a warning from a foreign intelligence service that the person in the photograph was ready to carry out a terrorist attack. He turned out to be the second person in the church attack in Rouen; the warning came 4 days beforehand (Abdelmalik Petitjean). He managed to stay out of sight for those 4 days, despite what appears to be a move across the country, showing the limits of public surveillance technology. A face and a solid prediction may not be enough. Tom Newton Dunn is the political editor of Rupert Murdoch's rapidly pro-Brexit tabloid, The Sun. European Commission President Jean-Claude Juncker appointed Michel Barnier, a former commissioner and an ex-minister, to lead negotiations to form a new relationship with Britain after it leaves the European Union. I’d sympathise with anyone who wanted to get out of this clot’s orbit. And now your team will have to talk to him more closely than ever! 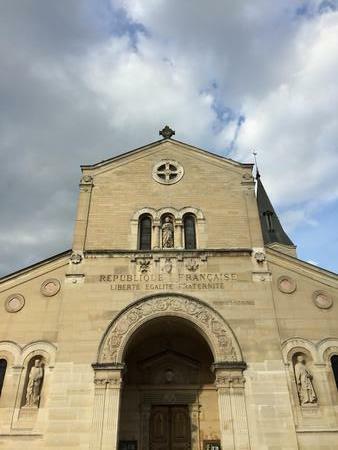 A Catholic church in Charenton (suburban Paris) where an evening mass drew a large crowd in view of the atrocity in Rouen earlier in the day. The church is unusual in having Liberty, Equality, Fraternity engraved on the front entrance. 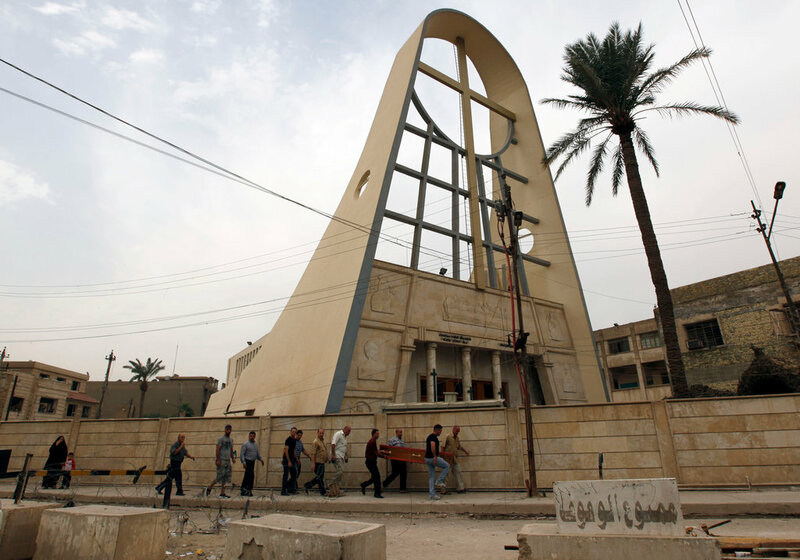 Above, via New York Times, the funeral of a victim of the Baghdad church attack, 31 October 2010, in which nearly 60 people were killed. The attack was carried out by the ISIS predecessor in Iraq. Rouen is a new location for something already in the DNA of ISIS hate-messaging. There's a big push this weekend on theories suggesting that the Donald Trump presidential campaign is being financed and puppet-mastered from Moscow. It appears that the apparent Russian-origin hack of Democratic National Committee servers sent the expositions into heavy rotation. Prime examples: Franklin Foer in Slate, Josh Marshall, and major tweet endorsements of the foregoing including from Paul Krugman. While there's lot of tantalizing 3 degrees of separation stuff, the entire edifice has one huge weak point: it rests heavily on Trump adviser Paul Manafort's time as a consultant to former Ukrainian president Viktor Yanukovych. However, Ukrainian politics does not lend itself to picking one strand and extrapolating from that: the strands are tightly woven and there's always more than meets the eye. One sign that something is amiss is that both Foer and Marshall dump a huge number of names into their articles but neither mention Rinat Akhmetov. Why does that matter? Because by the same accounts on which they're relying for their theories, it was actually Akhmetov who first hired Manafort, not Putin or Yanukovych. That's an especially glaring omission for Foer, who has a book titled "How Football Explains the World" to his name -- Akhmetov is among other things the owner of Shakhtar Donestsk football club (crest above). And, as this Euromaidan article explains, Putin and Akhmetov certainly have overlapping but hardly identical interests, an agenda around keeping eastern Ukraine profitable for Akhmetov while not costing the Russians too much money -- by which standard, events have already spiralled too far for both of them. Remember finally that the new theories are resting on Manafort's 5-10 year old stint in Ukraine, when circumstances have since changed dramatically. Of course the great thing about Russian intrigue is the way it blurs the line between possibility and fiction. Maybe some people are taking TV shows a bit too seriously. UPDATE 1 AUGUST: A New York Times article about Manafort's Ukraine activities is very clear on the original connection being Akhmetov. Note also the fluctuation in his relationship with Yanukovych; they diverged in particular over the signing of the association agreement with the EU, the precipitating event of the 2014 turmoil. Contrary to what we said above, Manafort has been involved in Ukrainian politics more recently, albeit not anymore for Yanukovych. It's the job of the police anywhere to set out the facts as they see it. But it's nonetheless a bit odd to detect a tone of reassurance as the Munich shooting rampage is described as "classic shooting rampage" (klassischen Amoktäter) with a perpetrator who had been researching previous mass shootings, including in schools. It's a reminder that there's sociopathic messaging out there besides that coming from Iraq and Syria. In this case, that messaging combined with a Glock and lots of ammunition, as in the ostensibly American precedents. 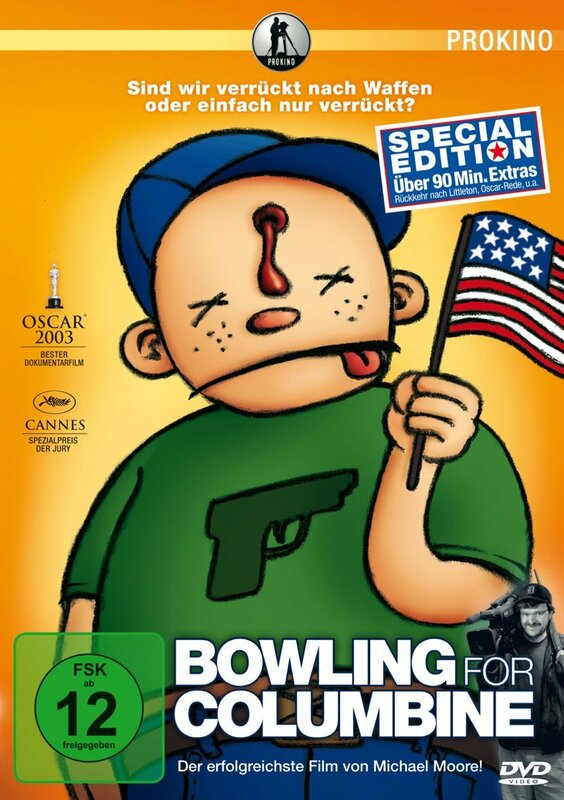 Left, the German cover for Michael Moore's Bowling for Columbine. 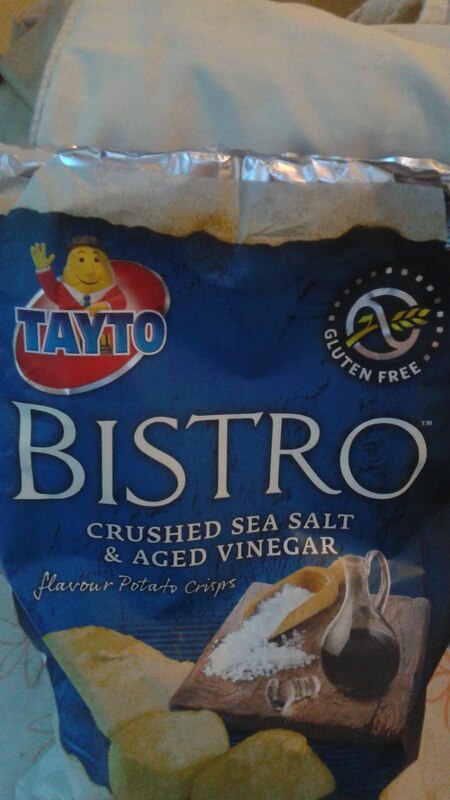 Was it for this the wild geese fled? Tayto products that did not exist many years ago. On the substance, Trump stuck to his signature themes on law-and-order, immigration, and trade to the point of monomania. Indeed, much of the punditry on Trump's speech seems surprised at his core themes of border control, trade, and law and order. As Michael Ignatieff has pointed out, that POGG clause has generally been read in contrast to life, liberty, and the pursuit of happiness, focusing instead on the basic requirements of trust in institutions to hold a large country together. One can look at Trump and see the awfulness but still recognize why his themes are not so mystifying. There will be days of analysis of the processology of the Ted Cruz non-endorsement of Donald Trump in his RNC speech in Cleveland. Ted Cruz is deeply embedded in the Evangelical Christian tradition and as such easily blends Biblical literalism with contemporary America. What therefore could be better for him than appearing before a boisterous crowd as their would-be saviour, but having the crowd call for someone else instead? Cruz is Jesus. Trump is Barabbas. Above, a classic clip from 24 Hour Party People, where the logic of naming a band Barabbas is explained. The scale of CESEE (Central Europe, Southeastern Europe) emigration over the past quarter century has been unusually large and, in many ways, unique. CESEE countries have witnessed a large and persistent exodus of economic migrants, mainly to Western Europe. In some ways this phenomenon is similar to that observed elsewhere in the world—migrants move in response to income differences between home and host countries; when migrants move abroad, they improve their own well-being, and the remittances they send home benefit their families. The host countries, which face population aging pressures themselves, get a much needed boost to their workforce. But in other ways CESEE emigration has been unique. Moving distances are short, and visa-free access for EU citizens means that international borders do not deter movement as they do elsewhere. Many CESEE emigrants are skilled and young, thus their exit reduces the productive labor force in sending countries at a time when many of these countries are already experiencing adverse demographic pressures. Emigration has thus been large—in fact the largest in the world in modern times as a share of sending country population. Furthermore, it has been persistent and return migration has likely been limited. In pointing to the huge size of the flows, it's a useful reminder that it would be surprising if such large flows did not have political effects. Britain is to relinquish its six-month presidency of the European Union which had been scheduled to begin in July next year following its decision to leave the European Union, with Belgium most likely to assume the role. 102 years after Britain went to war over little Belgium's neutrality, Belgium now comes in to pick up some of the pieces of the Brexit disaster. Above: a cartoon from 1914 depicting Britain and its future enhanced trade partners ready to go to war over what Kaiser Bill had ridiculed as a scrap of paper. UPDATE: Apparently it's even smaller Estonia that will replace Britain, although it seems there's some lack of enthusiasm about that option. FOREIGN SECRETARY JOHNSON: It’s what I feel like at the moment, actually. For these reasons, and his chance to redirect economic policy, the appointment of Mr Hammond is an Event. That it earned less attention than Boris Johnson’s move to a husk of a foreign office, with all the gaiety of nations it supposedly augurs, makes sense only in a culture where adults play Pokémon Go and size up the new Ghostbusters against the originals. And I might say, Americans have admired the way that Turkey pulled itself back to democracy when challenged by the violent forces of terrorism and anarchy a decade ago. We are well aware of your own distinguished role, Mr. President, in maintaining Turkey's devotion to the ideals of Ataturk. Your country's pride in that accomplishment is understandable. Reagan is referring to the 1980 military coup, which Evren had led as Chief of the General Staff before transitioning to the role of civilian President. During the House of Commons debate on Trident today, North Antrim DUP MP Ian Paisley offered to host the nuclear deterrent in Ireland since Scotland doesn't want it. This would be the same DUP which supported Leave, a position rejected by Northern Ireland voters. A trio of Turkish helicopters filled with rebel forces buzzed the country’s Turquoise Coast below a waxing moon early Saturday as they homed in on their target: President Recep Tayyip Erdogan. For the first time in more than 35 years, members of Turkey’s military were trying to forcibly overthrow their government ... As the small group of elite Maroon Beret soldiers on the Turkish Riviera staged their make-or-break mission to try to capture or perhaps kill the country’s democratically elected president, it seemed as if the coup plotters had the upper hand ... Yet the commandos who raided the resort where Mr. Erdogan had been staying missed their target. After a brief gunbattle with his presidential security force, the rebels were repelled. Before they ever arrived, Mr. Erdogan had slipped away ... When the elite commandos in their three Sikorsky helicopters landed in Marmaris, clashes broke out with members of the president’s security team and local police. A Turkish official said one police officer and a member of Mr. Erdogan’s presidential security detail were killed in the fighting. Mr. Erdogan’s security detail had already spirited him to safety. Commandos who came for Mr. Erdogan pulled back to their helicopters, one of which malfunctioned, and then took off empty-handed. While in the air, the aircraft carrying Mr. Erdogan and his small contingent was approached by what they believed were hostile Turkish fighter planes. The speed with which a Reichstag fire/staged coup/It's Erdogan who has to be careful narrative has emerged among foreign policy elites is remarkable, not least because the known facts about the coup are not obviously consistent with it. UPDATE: Cohen's column remains uncorrected over a week first publication despite numerous follow-up reports on the attempt to capture Erdogan. Most of the reaction to this story has focused on the ostensible puzzle of why the rebel planes didn't take action. But isn't a bigger puzzle why Erdogan made the decision to fly to Istanbul in a civilian aircraft without being sure he had control of the skies, and without assurance that he could land at his destination, Ataturk Airport, which was then under control of the rebels? All of Turkey’s opposition parties joined Mr. Erdogan in denouncing the Keystone coup, and rightly so. By Keystone, they presumably mean the Keystone Cops incompetence quality of the coup implementers. But it also comes across as an unintended reference to the origin of the coup, as believed by the Turkish government, to be the Keystone State i.e. Pennsylvania, the home in exile of Fethullah Gulen. A tumultuous couple of days. A few thoughts. 1. [and yes, this is from an old post] We keep being told that ISIS has come up this new strategy of urging its followers in western countries to mount their own attacks. Left, the summer 2010 edition of the magazine of Al Qaeda in the Arabian Peninsula; the magazine's name is Inspire. 2. Nice. French interior minister is saying that the truck atrocity attacker looks to have radicalized very quickly. Not so good for any deterministic theory of Islamist terrorism. This is a virus that finds particular hosts. 3. Turkey. If ever there was an illustration that two countries around the corner from each other with a common heritage can be very different that was it. Egypt's military got rid of an elected Islamist President. Turkey's military could not. 4. Has TV rolling news ever lost interest in a story as quickly as they have the Turkish coup attempt? Sky News did a decent job last night but is now back predominantly to Nice, and CNN International, despite its Turkish affiliate having a major role in the story, is already back to feature programming as of Saturday morning. A Friday evening in summer with resources already committed to Nice and a complicated narrative-defying context (he's Islamist and he's popular?) -- BORING. Erdogan has disappointed Obama like few others. Obama came into office thinking that the Turkish leader, a so-called moderate Islamist, would serve as a bridge between the United States and Muslims. But the king of Jordan, Abdullah II, among others, warned Obama that Erdogan was a false democrat. "Erdogan once said that democracy for him is a bus ride," Abdullah told Obama. "'Once I get to my stop, I'm getting off.'" It took a long time for Obama to realize that Erdogan's critics in the region were correct. Events in Turkey this evening are a reminder that to the extent attribution of current problems in the Middle East to Sykes-Picot is true, it needs to be placed in context of all the factors creating the modern Turkish Republic. The 1923 Treaty of Lausanne settled not just borders but the nature of post Ottoman Turkey, but of itself couldn't resolve tensions in that identity. Or, revenant sur les politiques, il livre un diagnostic sans concession, fustigeant un "débat minable, pas du tout à la hauteur du défi. Notre classe politicienne est nulle face à cela, elle donne le sentiment de courir derrière l'événement, d'être intéressée surtout par ses chamailleries". [politics .. a shabby debate which doesn't rise to the challenge. Our political class is empty in the face of it, giving the sense of always being behind the event, interested only in their bickering]. With a day's worth of trite political statements already underway, difficult to disagree with that. Incidentally, on the Gilles Keppel-Olivier Roy feud, we tend to agree more with Roy, but the differences seem to be somewhat exaggerated anyway partially because of their different philosophical approaches. The border between Ireland and Northern Ireland is a European issue. If anyone is professing confusion about what the term "elite" means in the context of the Brexit outcome, they should be confused no longer. Incidentally, and as has been overlooked yet again in the Chilcot report fallout, Jose Manuel Barroso was the host of the final Bush-Blair Iraq War Summit in the Azores. He [Interior Ministry spokesman] said that the investigations revealed that the terrorist who carried out the attack in a parking lot in the vicinity of the Prophet's mosque was Naer Musllam Hammad Al-Nijaidi Al-Balawe [above], a Saudi of 26-years-old with drug abuse history. That angle, of petty crime and addiction, is an important feature of radicalization in Saudi Arabia even as people (rightly) focus on a Saudi angle to radicalization in other countries. 784. In March 2008, Prime Minister Maliki instigated the Charge of the Knights to tackle militia groups in Basra. That such an important operation came as a surprise was an indication of the distance between the UK and Iraqi Governments at this point. 785. When the Charge of the Knights began, the UK found itself to be both compromised in the eyes of the Iraqi Government and unable to offer significant operational support, as a result of the tactical decision to negotiate with JAM [Jaysh al-Mahdi (Sadrist militia)] and the absence of situational awareness in Basra after withdrawing from the Basra Palace site. 786. On 1 April, Air Chief Marshall Stirrup briefed the Overseas and Defence Sub-Committee of the National Security, International Relations and Development Committee (NSID(OD)) that the UK military task would be complete by the end of 2008; its timetable would not be affected by the Charge of the Knights. At this stage, the UK was looking to get out of southeastern Iraq no matter what, and they didn't think that the US surge would work. In a sense, like everything in Iraq, they were wrong and right. The surge did stabilize Iraq, and the eventual result of Charge of the Knights was to draw Moqtada al-Sadr into the political sphere, which calmed Basra. But none of the longer-term challenges of Iraq were solved, and by that point it's not clear whether any military solution was available. But that realism edged with cynicism would have more useful in March 2003 than April 2008. 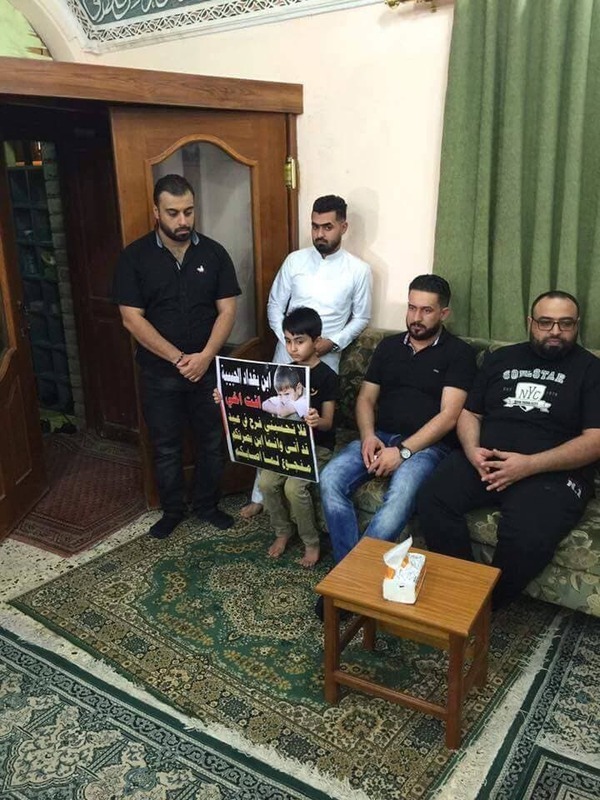 In the photo, relatives of a child killed in the latest Baghdad suicide bombing hold a memorial to him as part of a two-day "Council of Solace" organized by a youth group in Basra. As the death toll has now increased by at least 100 over the initial report of 150, it's approaching the toll from the 2007 Yazidi village attacks, which had been seen as the most atrocious of the mass-casualty bombings in Iraq. Whatever bad things are happening in other countries, they're happening exponentially worse inside Iraq. That's the current context for the Chilcot Inquiry report. UPDATE: Difficult photos of child patients being visited by the Prime Minister. Seven militants who killed 20 people at a Dhaka restaurant made no demands and a person taken alive by police was only a suspect admitted in hospital, Bangladesh's home minister said on Sunday, rejecting Islamic State's claims of responsibility ... One line of inquiry being pursued was whether the restaurant attackers received any guidance from Islamic State or al Qaeda, an official in Bangladesh's counter-terrorism wing said. "Pictures (uploaded on Twitter) indicate they might have been encouraged by ISIS (Islamic State) activities abroad," said Muhammad Zamir, a former senior foreign ministry official. "But this does not show a direct link to ISIS. This is exactly what was done and disputed later in the case of the Orlando attack," he said, referring to the killing of 49 people last month by a man who pledged allegiance to Islamic State. Note the problem that's arising from attempts by officials to make distinctions between different types of ISIS-related attacks: the ostensible difference between "inspired" and "directed" is meant to distinguish San Bernadino and Orlando ("inspired") from Paris and Brussels ("directed"). But as the motivation and tactics morph into one, the risk now is of blind spots in investigations, especially in a case like Bangladesh where officials are extraordinarily keen to avoid any indication of ISIS presence. Britain is paying the price for a high level of inequality and a chronic lack of investment in education which have prompted a disillusioned population to vote to leave the European Union, Credit Suisse Chief Executive Tidjane Thiam said on Sunday. Britain voted in a referendum on June 23 to quit the EU, a decision that has roiled financial markets and rattled businesses. Thiam, the former head of British insurer Prudential, said he had lived almost 15 years in Britain and had been shocked to be told on a visit to a school in Tower Hamlets, a London borough near the city's financial district, that about half of children there only ate once a day. UPDATE: This post has our evolving view on lessons from Brexit, which has some common elements with Douthat. But his seems much more connected with unmentioned hipsters. Reliable sources told Sudan Tribune that Hamza Sirar Hamza al-Hassan was likely killed in a coalition airstrike against on ISIS’s Iraqi hub of Mosul last Monday. Al-Hassan, a nephew of the famous Islamist businessman Abdel-Basit Hamza, was among the second group of medical students enrolled in the University of Medical Sciences and Technology (UMST) who flew from Khartoum to Istanbul to join ISIS in Syria and Iraq last year. The group consisted of 12 students, including the daughter of a senior government official. 10 of the students carried British travel documents. A couple of things to note. First, the profile of the Sudanese contingent doesn't fit the narrative that the appeal of ISIS lies in poor job prospects. Second, who would be the UK Home Secretary under whose watch visas were being handed out -- unconstrained by EU policy, since this is non-EU migration -- to ISIS recruits? UPDATE: The Dhaka restaurant attackers likewise fit the pattern of being well off in their societies. Among the guests at the $200-a-plate dinner at an upmarket Manhattan hotel [Essex House] were Bianca Jagger, Tom Hayden, film-maker Michael Moore and a former mayor of New York David Dinkins.